It might seem as if there’s nothing going on at Açedrex since the turn of the year — au contraire! We’re working on some big, time-consuming projects behind the scenes. We’ll unveil them as soon as we possibly can. In the meantime, I’ve been inspired to share with you the kind of books I was able to find as a young reader — books full of romance and exoticism: books written about the grand idea of “Spain” by non-Spanish authors. I present our latest release, Stories of Spain. This beautifully edited e-book contains two short novels. 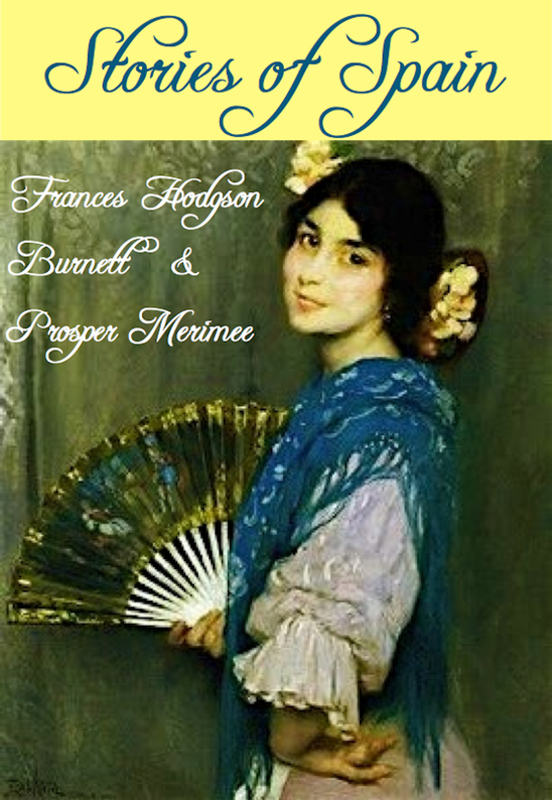 “The Pretty Sister of José” is a sweetly passionate story of love spurned and requited, complete with flamenco singers and bullfighters, all lovingly described by the pen of the incomparable Frances Hodgson Burnett. This story includes the charming original illustrations with plenty of ruffled dresses, bolero hats, flowers, and longing looks. The second story, “Carmen” by the great Prosper Merimee, was the basis for the libretto of Bizet’s opera, a story of tidal passions and love gone wrong told with that unmistakeable, wry sense of humor. It has the added bonus of Merimee’s extensive anthropological studies of Spanish gypsies of the early 1800’s and explanatory footnotes. 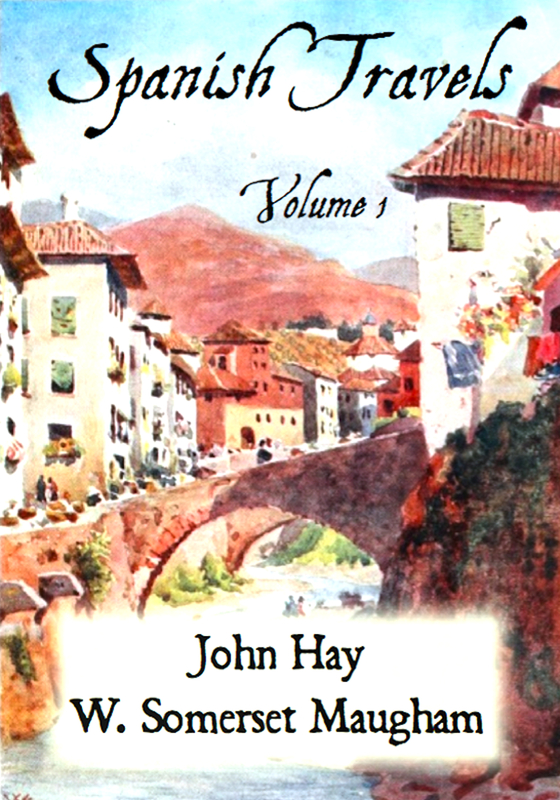 Two distinct views of the romance of Spain by two writers you can rely on for an enjoyable read. 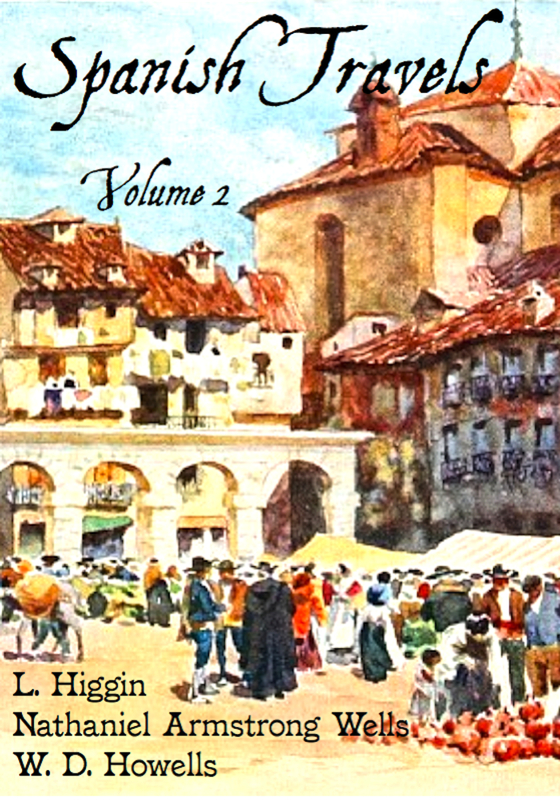 As promised, Spanish Travels Volume 2 is now available! As in the first volume, a lot of the value in this nineteenth-century travel writing lies in the unapologetic point of view. But this collection illustrates its value as a historical resource, too, with three charmingly lopsided sociological snapshots of Spain in the mid 1800’s and at the turn of the 20th century. This edition includes a fully active Table of Contents and footnotes for easy navigation and 80 photographs and drawings in black and white, which can be enjoyed with an e-ink reader as easily as with a backlit one. If you’re familiar with modern Spain, you’ll marvel at the visual similarities and differences. L. Higgin’s Spanish Life in Town and Country covers land, government, pop culture, the military, commerce, the condition of women and even delves into a personal account of the literature of the day, all in a friendly and insightful manner accompanied by stunning photos of people and places. If you ever need to quickly understand the context of a Galdós novel, this book will give you that, and a lot of gossip, too. The Picturesque Antiquities of Spain is a collection of Nathaniel Armstrong Wells’s letters from Spain to a friend. The author never hesitates to wax poetic about Spain’s legendary past in the same breath that he complains about the freshness of the eggs at his hotel. His unyielding enthusiasm is that of a tourist, but this tourist has read up on his history and learned the language, if haphazardly. His frank bewilderment at some Spanish behavior makes him a comical guide through a country of stark contrasts. William Dean Howells, a well known American novelist and critic in his time, caps the collection with Familiar Spanish Travels. As in his other writing, Howells shuns sentimentality, giving a blow-by-blow account of his travels, trains, and hotels, wryly commenting, “We were glad to go away from that dreadful place” and “we liked much better,” where appropriate. I can’t help but hold it against Howells that he makes the rookie mistake of comparing Córdoba in his time to its glamourous past or to other Andalusian cities, so that he’s quite disappointed. Otherwise, he includes entertaining vignettes about the quaint people he meets and the little boys he’s like to adopt and take back to America (in contrast to the scores of others he’s thrilled to leave behind). He rhapsodizes about the woman who finally fulfilled his dream to be told to “Go with God.” His sharp observations lead to poignant commentary on the contemporary society he’s observed in America and abroad. A unique collection, not to be missed for fans of Spanish history, culture, and travel. Now available in Nook and Kindle.